Amedy Coulibaly killed four people in an attack on a kosher supermarket in Paris on January 9, 2015. There is a push to limit or ban the broadcasting of live hostage situations after a group of people caught up in the Paris kosher shop shootings initiated a lawsuit against French media outlets who reported their location live during January's siege. 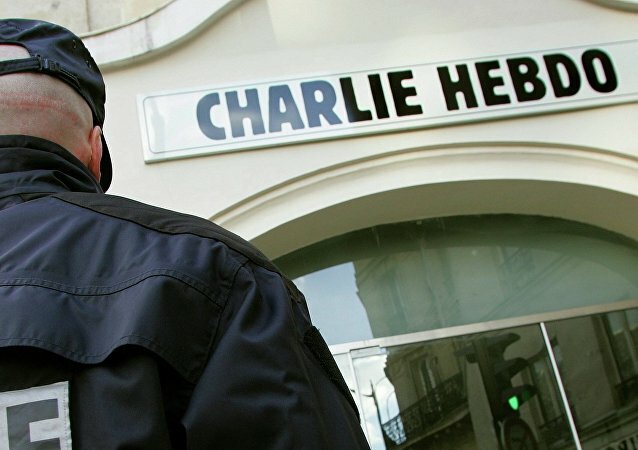 A French comedian has been granted a two-month suspended jail sentence, for posting a joke on Facebook just days after the terrorist attacks took the lives of 17 people in Paris last January. French authorities detained a policewoman who might have helped Amedy Coulibaly, who shot dead a police officer and four hostages in Paris in early January, Europe 1 radio reported Monday. The ISIL-related Dar al Islam magazine publishes an interview with a last known suspect in terror attacks in Paris early January still not caught. French authorities are investigating whether a female fighter, who appears in the latest video released by French-speaking Islamic State militants, is Hayat Boumeddiene, a girlfriend of Amedy Coulibaly, who took several people hostage at a Jewish supermarket in Paris and killed a policewoman in early January. It has been reported that the terrorist who killed four people at a kosher food shop in the beginning of January in Paris recorded the attack on camera. Mali's authorities have unexpectedly refused to accept the corpse of Amedi Coulibaly, the terrorist responsible for taking multiple hostages at a kosher shop in Paris and later murdering them. 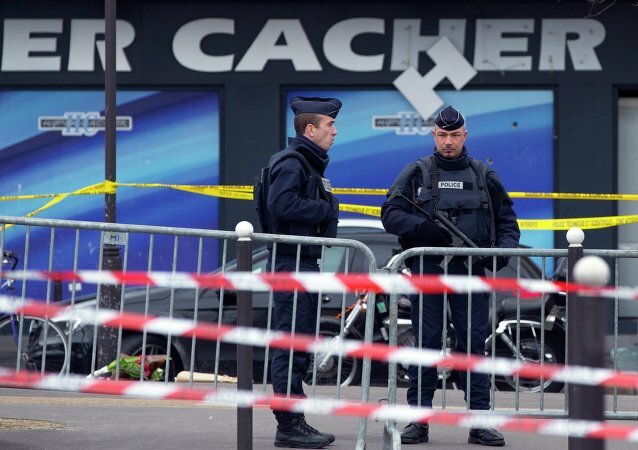 Could French Police Have Prevented Kosher Store Attack? French police stopped Amedy Coulibaly, who killed a police woman and four hostages at a kosher store in Paris, days before the attack during a routine check, but let him go, according to reports in French media. Four men are facing preliminary charges later on Tuesday, suspected of having links to Amedy Coulibaly, a gunman who killed four people in the kosher shop on January 9. Police officers found weapons, money and ISIS flags in his hideout, located in a suburbs of Paris. The series of terrorist attacks in France prompts Spain to call on Schengen countries to reconsider the agreement. Spain is ready to cut freedom of movement in exchange for higher security. Turkish intelligence has put Hayat Boumeddiene's cellphone under surveillance. The last signal from her phone comes on Thursday on the border with Syria. French police are looking for a female accomplice of a man, who took several people hostage at a Jewish supermarket in Paris on Friday and allegedly killed a policewoman a day earlier.